Fix Your Equipment To Help You Out In The Long Run! Over time, metal naturally wears down. This can lead to high instances of breakage and malfunctions. When you do not have the proper tools and training, these breaks often seem beyond repair. An experienced welder has the ability and know-how to correct a wide number of issues. My company, Metal Head Fabrication & Repairs, is just a call away for those in Nashville, Tennessee and the surrounding areas. I charge a travel fee of $60.00 for under 30-miles and up to $80.00 per hour for my services. Truck is equipped to go through descently rough areas. Your average welding companys will not allow their employees to drive through areas I will go. There will be a small fee added to the hour if I ended up locking my front hubs. When an already welded item needs repair, I do not just weld on top of the break. When welders do this, the material does not bond properly. 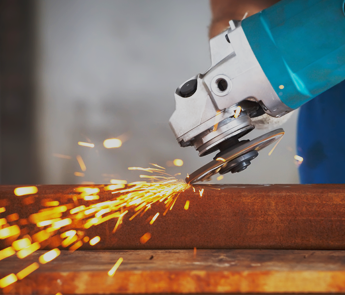 For welding repairs, I cut out the break and will use the best resources to ensure that the job is done perfectly. The cost for these repairs is $80.00 per hour plus the cost of the materials only if needed.